Spotted! 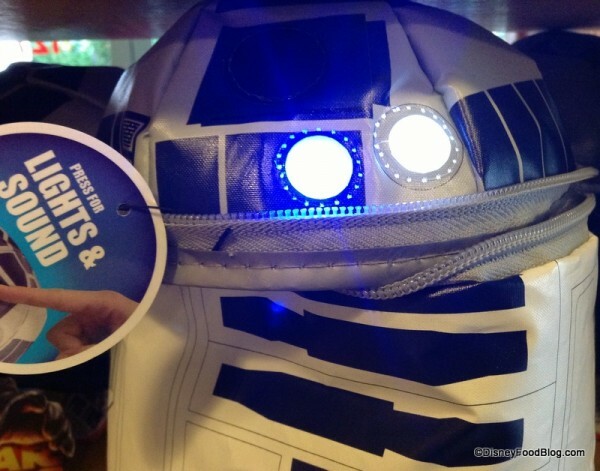 R2-D2 and Darth Vader Lunch Bags… with Special Effects! ‘Tis the season… and I’m not talking about Christmas! 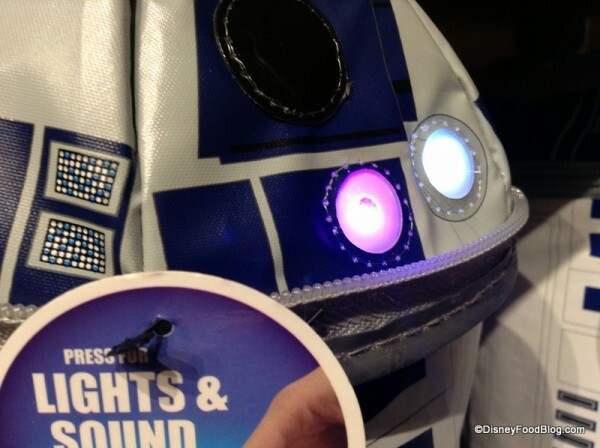 Star Wars Weekends at Disney’s Hollywood Studios are upon us (starting TOMORROW!! 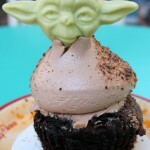 ), and some extra fun Star Wars themed merchandise is arriving along with them. 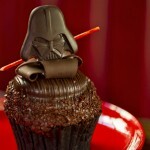 And when that merchandise is food-related?! Well, that’s all the better! 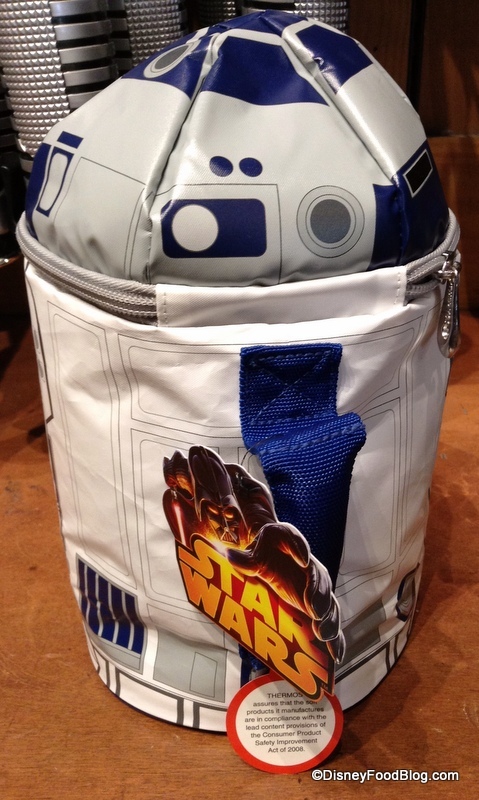 Now, when I say “cool,” I do mean that I think they are neat, but these padded lunch totes are also thermal for keeping your food cold. Score. But the best thing about them is that they have special effects! 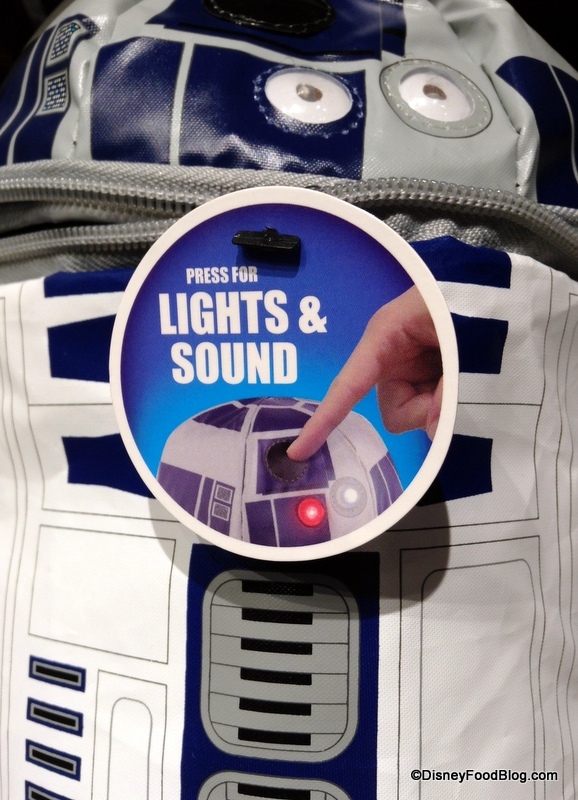 I’m partial to the R2-D2 bag. Part of that is because I love him, but also the effects are pretty great. When you press the indicated button on top of the bag, you suddenly hear R2’s signature beeps and boops… but, get this: his lights also flash! The best part? You can order your own here! 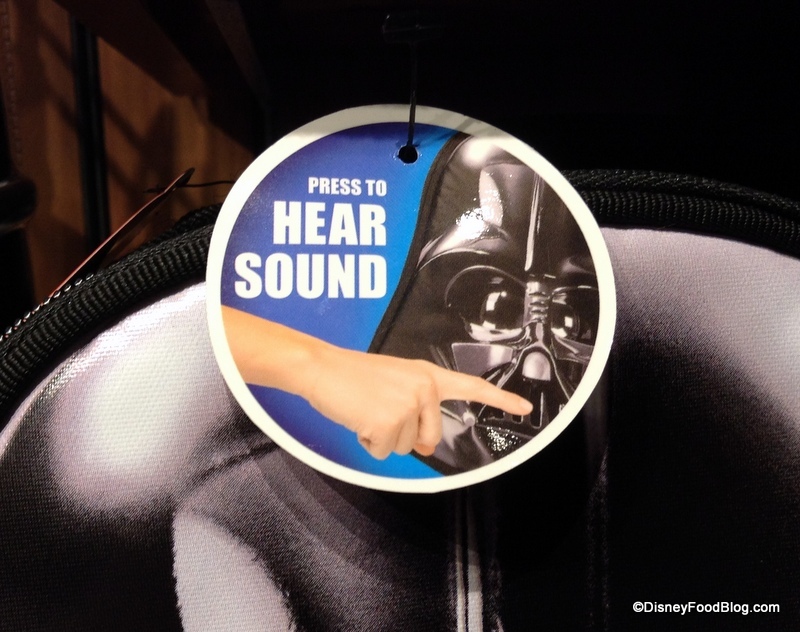 Darth Vader’s helmet bag has no lighting effects, but when you press the button you hear the ominous “KHOOOOH (pause) KHOOOOH (pause) …” or however one might spell the sound of Darth Vader’s breathing… you get what I’m saying! That’ll show ‘em 😉 . 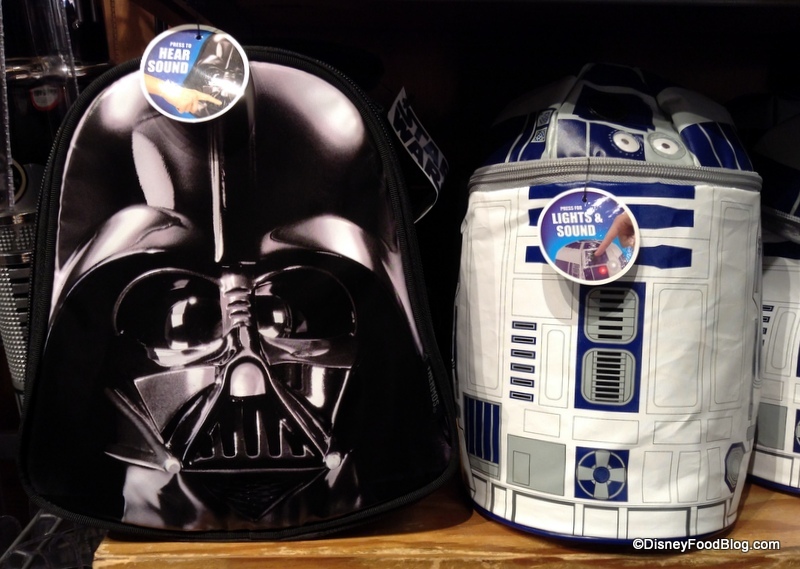 They don’t come cheap — these lunch boxes are $29.95 each. 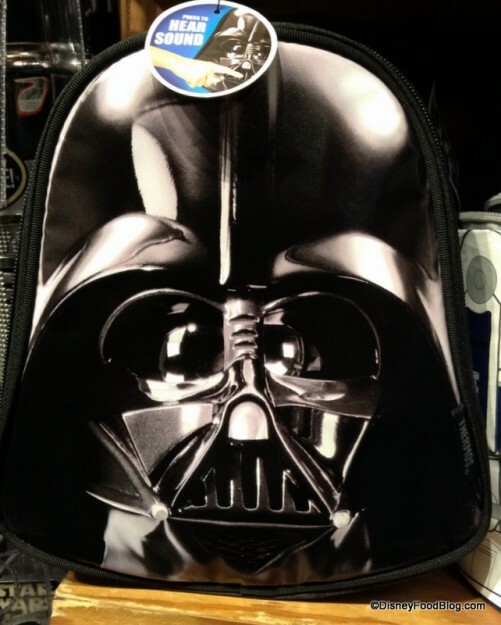 But I suppose there is a price to pay for having the raddest lunch box in the cafeteria…or the office…or the GALAXY! 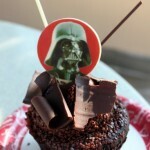 Happy Star Wars Weekends, everybody! Which bag would YOU choose? 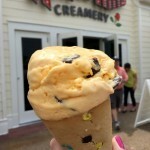 Chime in with a comment! News! 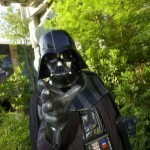 Star Wars Weekends “Feel the Force” Package Reservations Now Available! 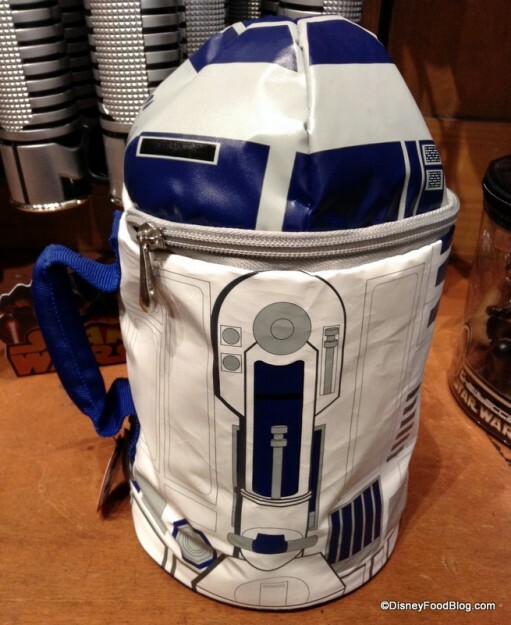 These lunch bags look really cool, and they have got to be up there with Mickey pants Ice Creams in the crazy/cute/quirky stakes. Those little tags with ‘Press to…’ completely crack me up for some strange reason! I bought the exact same R2D2 one at Target last August and gave it as a gift. It was less than $15 and the little boy loved it. The teachers at school did not. Very fun and has lasted the whole year ! 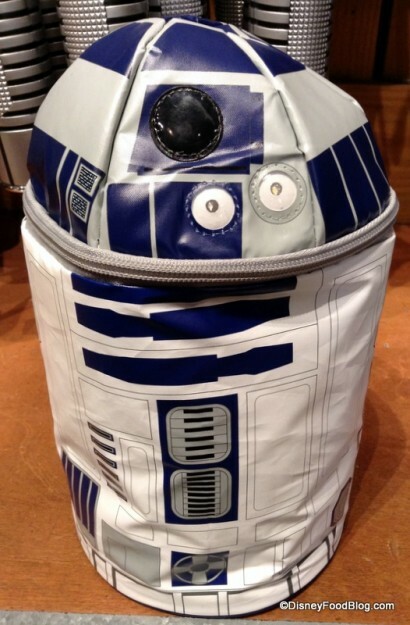 R2D2! 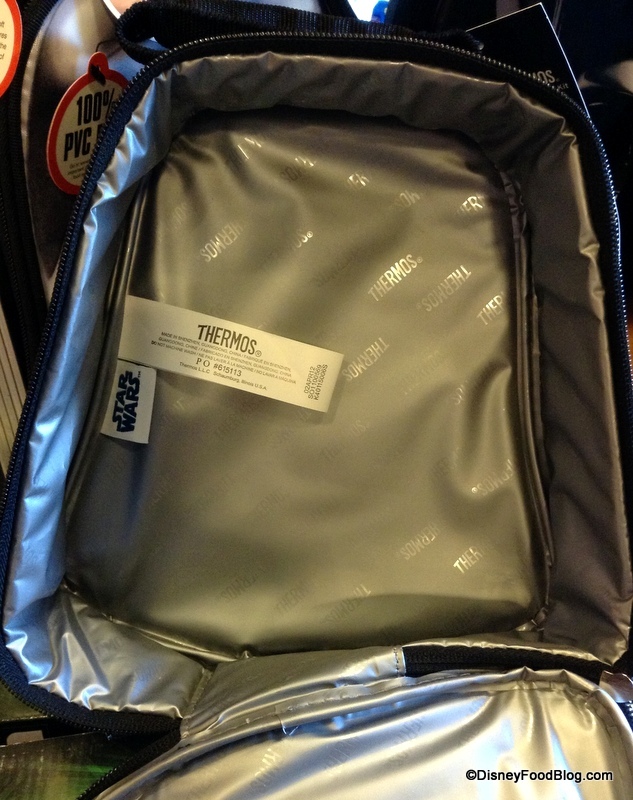 So sad we recently bought our son a Captain America lunchbox or I could totally justify this! Wendy you are too funny!! Can you replace the batteries when the effects stop working?